Goodbye Clodfelter. We'll miss your socially moderate views. LD2 incumbent Andrea Dalessandro leading Shelley Kais by 16.4 percentage points. LD9 candidate Victoria Steele leading primary-race write-in candidate Randy Fleenor by 27.8 percentage points. LD10 incumbent David Bradley leading Marilyn Wiles by 18.6. LD2 incumbents Rosanna Gabaldón and Daniel Hernandez Jr. are beating Republican John Christopher Ackerley. LD9 incumbents Randy Friese and Pamela Powers Hannley are beating Ana Henderson, in a 2016 reboot. LD10 looks to be turning from a split district to full Democrat with incumbent Todd Clodfelter loosing his seat to newcomer Domingo DeGrazia and incumbent Kirsten Engel. Clodfelter has had some bad press in the last year, for having a Confederate flag screen saver and an old Ashley Madison account. But he thought being more socially moderate would save him. 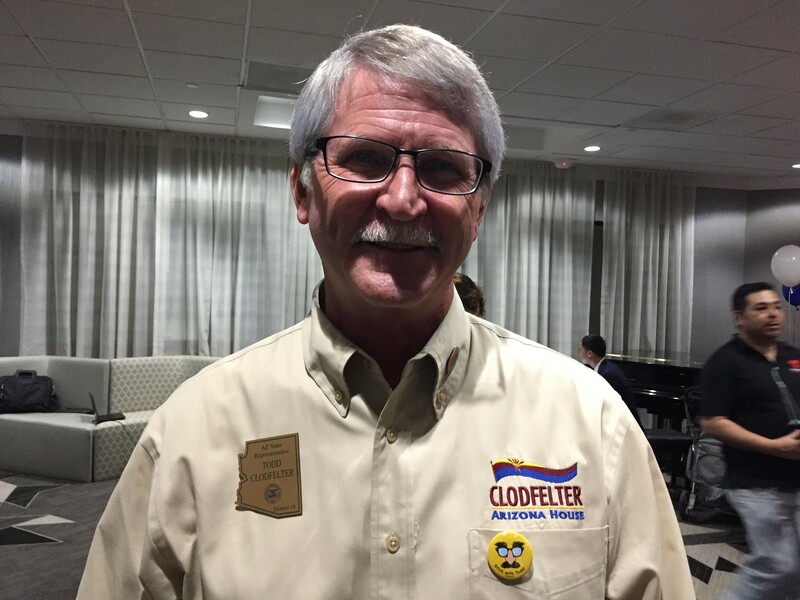 He even put out elections signs that read: Democrats for Clodfelter.